The reality of raising children is that one day; you will have to have “the talk”. Parents worry about this important lesson from the time their children are very young. What if we lead them in the wrong direction? What if we talk until we are blue in the face and they still make mistakes? Or even worse, what if we put it off waiting for just the right moment, until we realize it’s too late? The truth is, it’s never too early or too late to talk about money with your children (what did you think I was talking about?). From the time our children are very young, they see us using money as a means to get the things we want and need. So how do we teach kids the value of a dollar in today’s buy now pay later world? Nothing speaks louder than cold hard cash. For younger children, just the act of watching you hand over cash can speak volumes. You had money; you bought something, now the money is gone. Older children will benefit from learning the different denominations and controlling a small allowance of their own. Let them spend their allowance on things they want, reminding them that once their cash is gone…they have to wait to earn/get more. Teach them delayed gratification by encouraging them to save up for a bigger item. Children do as they see, not always what they are told. Pay your bills on time, say no when things don’t fit into your budget (and tell your child it is not in the budget. You don’t have to explain why for every little thing, but they need to hear the word! ), and practice what you preach. Some children benefit from seeing what not to do, but for the most part, your children will be much more successful if you are a good example of what to do. It’s never too early to start talking about money with your children. From an early age let them know that you can’t leave the store until you paymoney for your groceries. Let them put coins into a piggy bank. Use correct terminology when you talk about money so they can get used to the words. Start a small allowance and allow them to manage it (within reason). Letting your children see that there are those less fortunate in the world will spark the idea that not everyone comes upon money easily. Besides the Good Samaritan skills you will be teaching them, you also will be shining a light on what happens if you do not have much money. Explain to your children that sometimes, through no fault of our own, it’s possible to just not have enough money. Don’t do this to scare your children or to teach them to look down upon others, but it’s important they know that money isn’t always predictable. 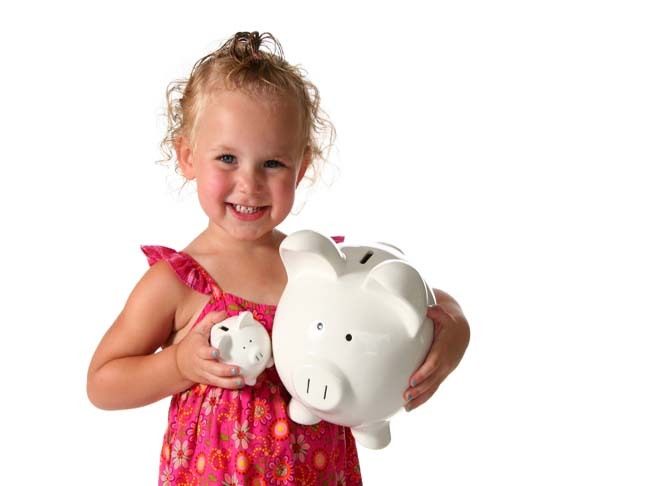 Teach them about saving their money for emergencies, rainy days, and other incidentals. If they don’t know why they need to save money, they might not be convinced that they should. Nothing teaches kids the power of a dollar like seeing what it’s like to do without. Don’t look at “the talk” as a onetime conversation you have, and it’s done. Raising children is all about ongoing education. Start early, speak often, and open up the dialogue from a young age. Set a good example and practice what you preach. Give your children concrete examples of the power of money and teach them to respect it. The best financial advisor your children will ever have is you.